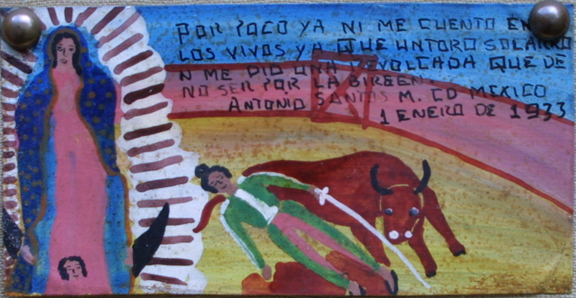 (on top horizontal) Spanish Translation: I almost do not count myself among the living, since a single fall gave me such a spin that I would not be here except for the Virgin Antonio Santos of Mexico City. 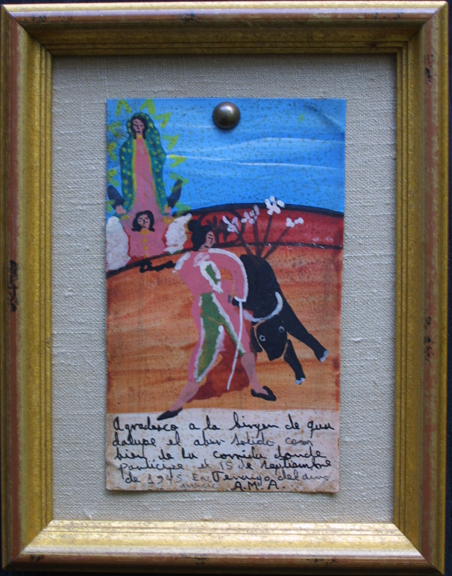 January 1, 1933. 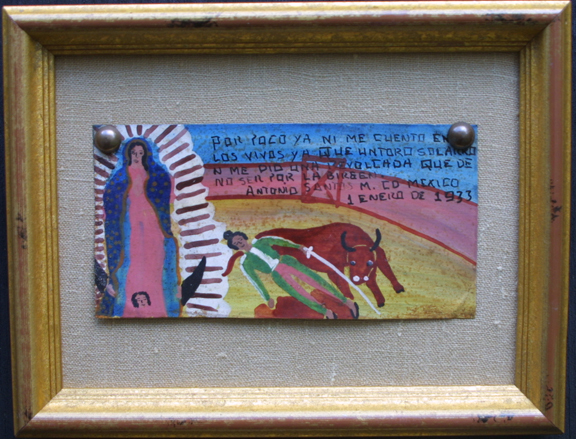 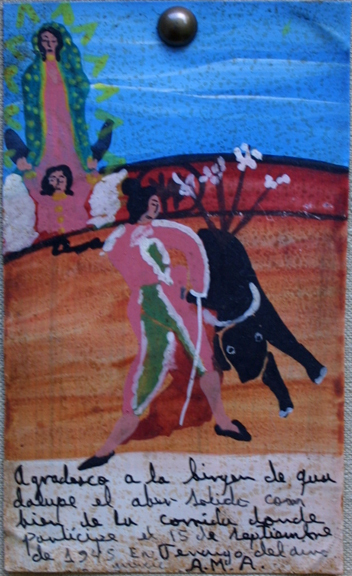 (on bottom vertical) Spanish Translation: I give thanks to the Virgin of Guadalupe on having come out well in the bull fight that I participated in on September 15, 1945 in Jevayo del divo Mexico.